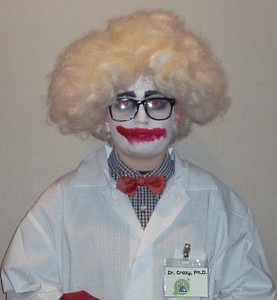 Halloween Night of 2008, my 11-year-old son, Jackson, was the last of my kids to have friends over before trick-or-treating. His older sisters had moved on from the “childish” fantasies at our house to boy-girl parties and teenage antics. Jackson thought he and his friends should trick-or-treat alone, but his friends’ moms were not on board with that approach. I sided with them, but didn’t want to totally squash their fun by escorting them around. 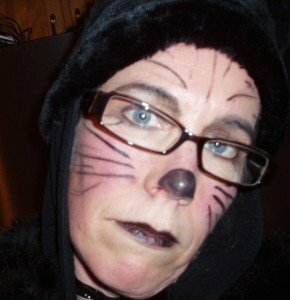 Also, wanting to fulfill my own Halloween spirit, I decided to dress up like a cat and ride a scooter around the neighborhood to keep up with their parade. It was a cold night, so I donned black leggings, a faux fur hat, and a possum fur vest from the 80s that I found in the back of my closet. With ears and a tail, I was ready to rock and roll. The scooter allowed me to give them space, but easily catch up if necessary. I stopped and chatted with other groups of trick-or-treaters, then zoomed up on Jackson’s crowd periodically to make sure they were OK. Adolescents have a knack for making others feel out of place. Inhibitions that stem from their own self-doubt get projected to their friends, siblings, and parents. 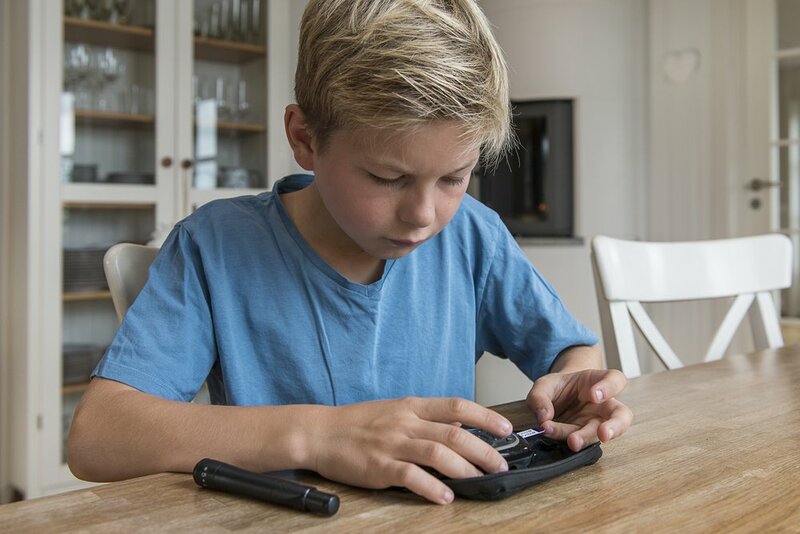 While we outgrow the excruciating pain of adolescent insecurity, most of us take some inhibitions into adulthood and—whether we intend to or not—project them onto others. Consciously or subconsciously, these inhibitions can stifle innovation, which—by definition—involves doing things differently. Do you ever find yourself hindered by these common pitfalls to creative thinking? Step Out of the Norm—If you always try to fit in with everyone else, you’ll never be comfortable expressing an original idea. People who have original ideas can face suspicion or—horror of horrors—criticism and dislike by the majority. Take a risk of being on the “wrong side” to explore “out there ideas” and express them in attention-grabbing ways. Jackson would have preferred that I behave like other moms, but in the end, he got over his horror and embraced the novelty. Go Beyond to What’s Secure—If you want consistency, go with the “tried and true.” But if you want a novel outcome, you must let go of the “same old.” Once you start entertaining innovative thoughts, you may find that what you’ve been doing all these years isn’t as good as you thought. That’s scary and risky, but it might alter your habits or change your viewpoint for the better. I could have dressed in normal clothes and walked instead of ride a scooter, but it wouldn’t have been as fun or memorable. Ignore the Nay-Sayers—Take constructive feedback, even from your detractors, but don’t let them force you into conformity and let your inspiration wither on the vine. Many paths to victory have been paved with predictions of failure – CopyBlogger, Brian Clark, has collected historical quotes that prove this point. Question Authorities—Who decided that it’s normal for kids to dress up on Halloween, but adults are weird if they do? Always doing exactly as you are told in order to avoid disapproval from authorities is a safe, but limiting, path. Some rules have outgrown their usefulness. And others only exist in our minds. Respecting authority is smart, but blind trust in authorities limits your possibilities. Don’t Be Afraid to Ask Stupid Questions—Let yourself be curious and ask the questions that pique your interest. When your inner critic starts to filter and judge your curiosity, it’s time to turn off your own inhibitions. Chances are that someone else is wondering the same thing and your team members will applaud your courage for speaking up. Your questions may upset the status quo, but the status quo doesn’t produce innovation. Have you ever limited yourself because of someone else’s inhibitions? How did that make you feel and what was the outcome? Have you ever defied someone’s negative vibe and followed your heart? What came from that choice? Take the Halloween spirit with you throughout the year and dare to be different.